Hello Saturday!!! This is a quick post ~ I made these cards the other night with a new stamp by Darkroom Door. I love it!!! It has that vintage feel ~ so sweet!!!!! 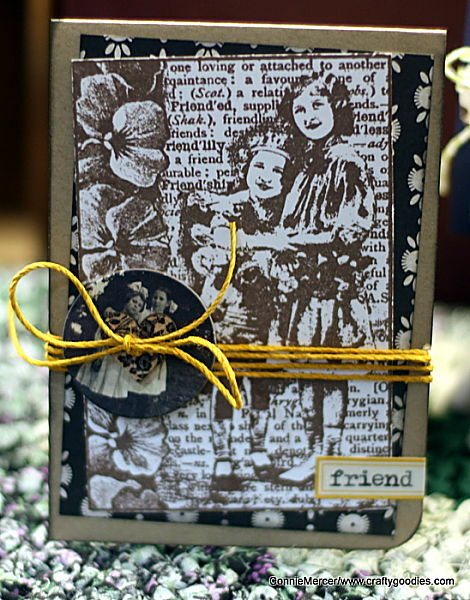 The name of the stamp is Collage Stamp/Friends. 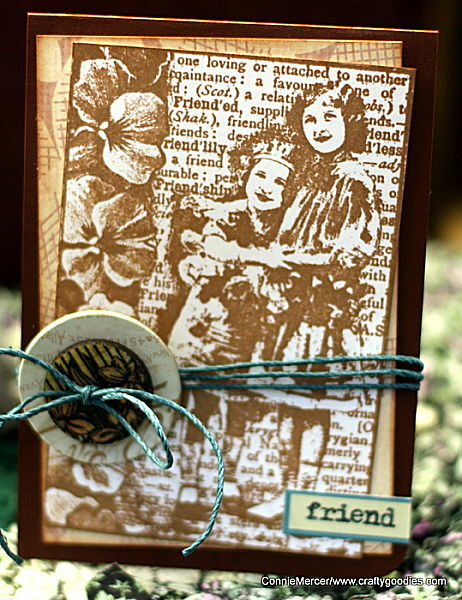 I stamped this one with brown ink and decorated using Jenni Bowlin, Prima, Lawn Fawn twine and the fabulous labels are by October Afternoon. 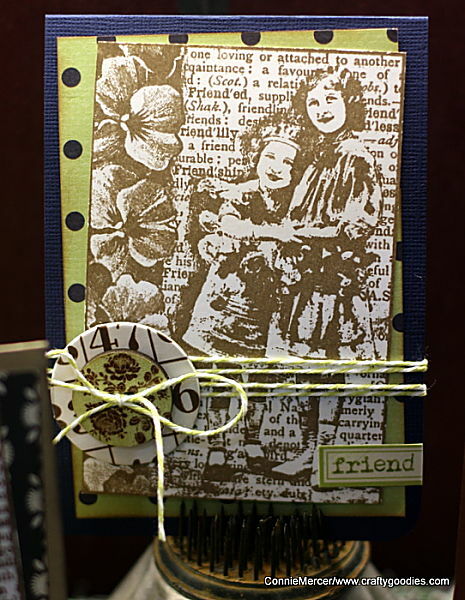 This one is stamped with sepia ink and the same embellishments! I f you didn't see it my SNR feature is up on their blog and I would love for you to take a look. I used the new Wren line by JBS!!! JBS put the feature link up on the inspiration blog which was very cool!!!! Have a great Saturday and I'll see ya soon!!!!! I can't pick a favorite. I love them all! Everything you used works so perfectly together! These are gorgeous Connie!! I absolutely loveeeeeeeeeeee how you added the JBS buttons!! What a fun stamp. I like all three of them and the very clever embellishments. So fun! And here was I thinking Linked In was a waste of time. Love your vintage style and your scrapping, so refreshing to find someone who tells stories on their pages. Happy to follow, thanks so much for visiting me too. 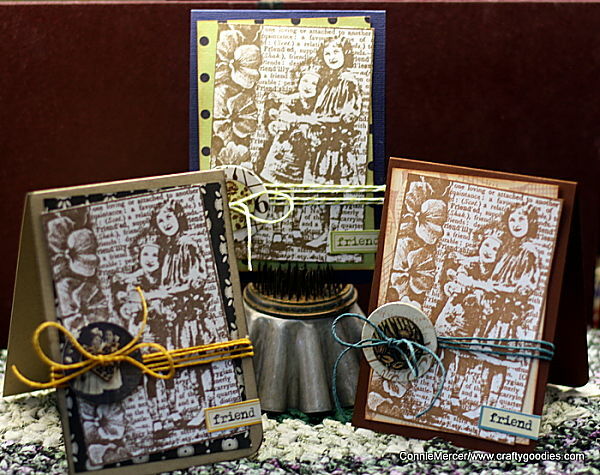 Great vintage feel cards. I love the dark colours and the use of twine and buttons. WOW! These are just gorgeous! Awesome cards! This is probably one of my fav stamps from them. Love it!